Beach apartments Estepona for sale. Ready to move in. 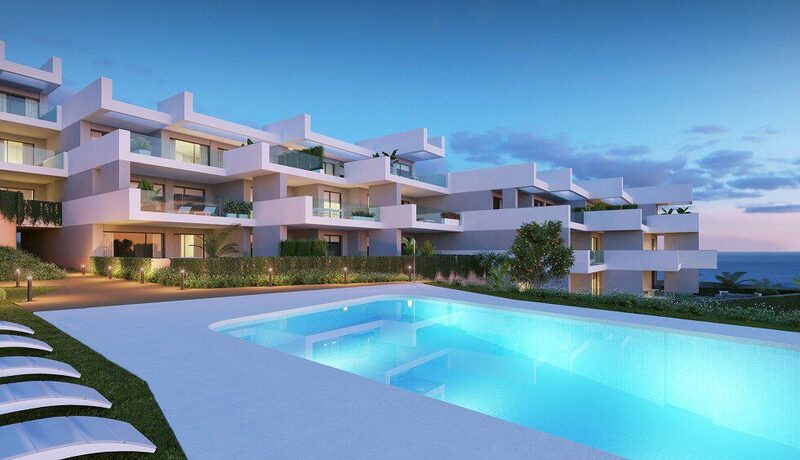 This project offers 39 beach apartments Estepona that enjoy the sea, the sun and the peace that the Costa del Sol offers. This is a unique residential able to cover all your expectations due to that it is close the beach and that a variety of services surround it. The project of beach apartments Estepona is just 7 minutes from Estepona. The residential has 6 buildings of 2 and 3 bedroom apartments with large terraces. There are penthouses with solarium to offer spectacular sea views. The project boasts very bright homes, ideal for relaxing and enjoying an authentic Mediterranean lifestyle. All homes have spacious living rooms with semi-open fully equipped kitchens with top brand appliances that combine design and modernity. Among the pleasant common areas of the residential is the spectacular beach pool. There are large green areas where you can enjoy the many sunny days of the Costa del Sol. Placed in a strategic enclave, a quiet place next to Estepona, just 30 minutes from the airport of Gibraltar and 20 minutes from Marbella. In an environment where golf is the most practiced sport. It takes only 5 minutes to reach the many golf courses located around the residential. Do not miss the opportunity to live in a residential that has the privilege of being located just 150 meters from the beach. This is the ideal place to enjoy infinite sunset next to the sea. Going to Estepona on foot will become a luxury ride through the future coastal path, which connects the Malaga coast from East to West. Whether it’s to live, spend your vacation or to invest, this is an excellent choice. Beach, sea, golf, the weather, and relax are some of the concepts that best define the project that will not leave you indifferent. – 2 bedroom apartments from € 198,500 + VAT. – 3 bedroom apartments from € 288,000 + VAT. 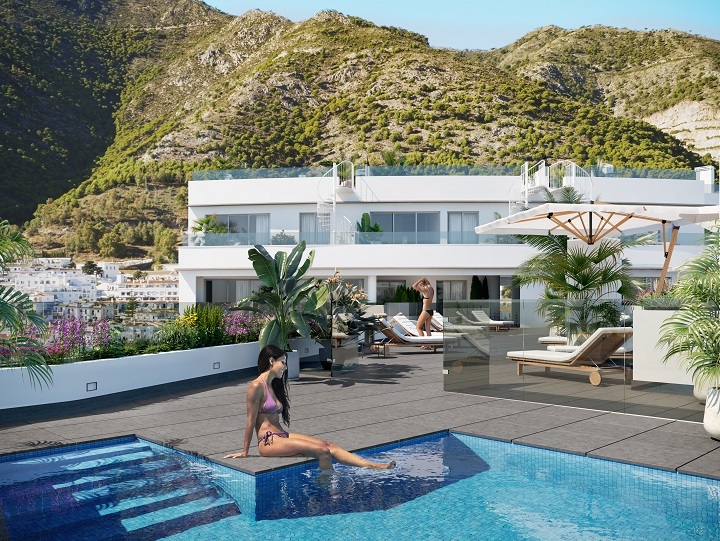 – 3 bedroom penthouses from € 312,000 + VAT.